When software services were first being outsourced in the ‘90s, the idea of outsourcing was absurd across the world. However today, outsourcing software development services is the unspoken international rule of business. Initially, outsourcing software services were to drive down operating costs, but now it is seen as an investment to improve operations’ quality. India undoubtedly is one of the world’s top offshoring destinations. According to market studies, close to 80% of the biggest companies depend on offshore teams for their operations and the GSA report says 70% of companies surveyed are going to outsource more in the forthcoming years. And, 35% more significantly so. Considering this, 84% of service providers expect the outsourcing industry to grow and 37% believe it would do so significantly. The primary reason for outsourcing software development is lower operational and labor costs, which, in turn, significantly impacts the revenue of the organization. The offshoring industry is at the epitome of innovation and focuses on delivering solutions that offer investment returns rather than just pure cost reduction. Other reasons for outsourcing include space management, risk management and adaptability. According to a report by Gartner, worldwide IT spending is expected to be a total of $3.8 trillion in 2019, an increase of 3.2% from expected spending of $3.7 trillion in 2018. Given how dynamic the industry is, the market size is also prone to grow with it. 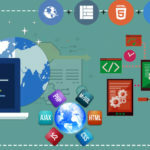 Since custom software development is the sole requirement of almost all organizations, the outsourcing industry will become more collaborative. Increased offshore development will use collaboration tools as a bridge between onshore and offshore teams of the business. The relationship between the client and customer will be more process and people driven rather than being price oriented. Cost reduction still remains the main advantage of outsourcing, however, it wouldn’t be a decisive factor while companies choose companies to outsource services. There is a shortage of in-house engineering talent which is a major cause for organizations to outsource software development. There has also been a long-time concern and ever-increasing focus on cybersecurity, because of cybercriminals who take sensitive data to new risk levels. Hence, IT companies are implementing a multi-level security approach due to which the amount of security work being outsourced has increased. Automation of processes and operations is a major player when it comes to outsourcing software development services. Vast investments are already flowing into Artificial Intelligence and automation. The need for the use of virtual assistance will be powering every industry soon enough. Likewise, the need for cloud computing is skyrocketing, with businesses around the globe looking to migrate to cloud. With the demand rising, companies will resort to cloud outsourcing and the demand for public cloud platforms for data storage would increase. Since organizations are not always fully equipped with technical skills to run business operations, in-house team experts will not be able to meet the ever-growing demands. From outsourcing non-core business operations to outsourcing core business operations, the growth of the software services industry is always growing.